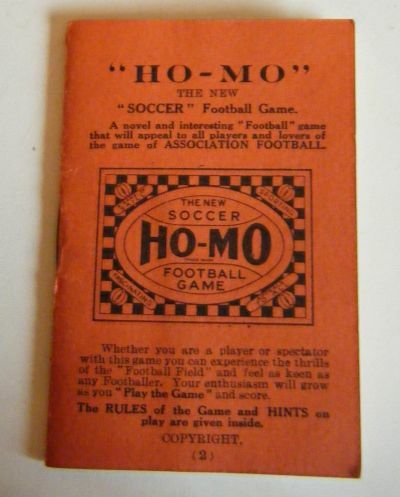 No I do not have any idea why someone decided that Ho-Mo would be a great name for a football game! 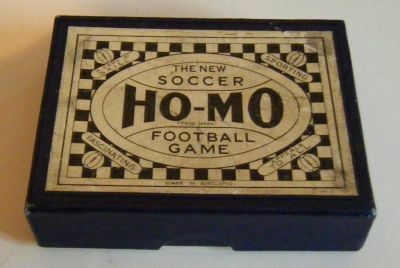 A quite bizarre name for one of the simple checkerboard style games from the 50s or 60s. 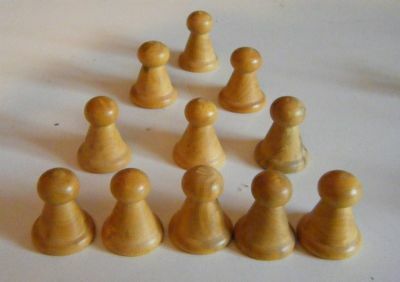 Nice compact box for the wooden pieces. 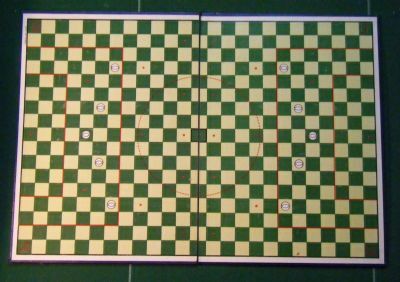 The board was separate and loose with similar graphics on it. 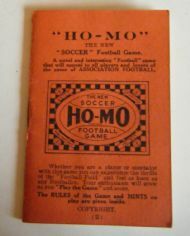 Simple rule booklet nicely presented and printed. 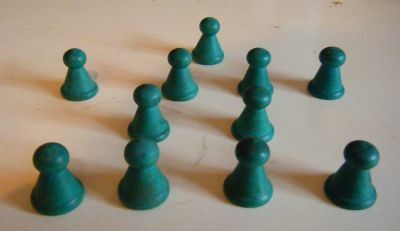 Another of the many games that utilise a checkerboard style of pitch.